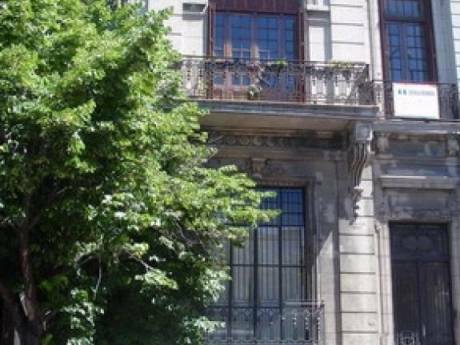 This luxury apartment is located in a very nice part of Recoleta. It is 4 blocks from the Recoleta cemetery. It is an impeccable apartment and has many unique characteristics and attractions like high ceilings, original openings, oak flooring and bathroom with marble, Jacuzzi-tub and amazing sink. The kitchen was specially designed with special custom made furniture. 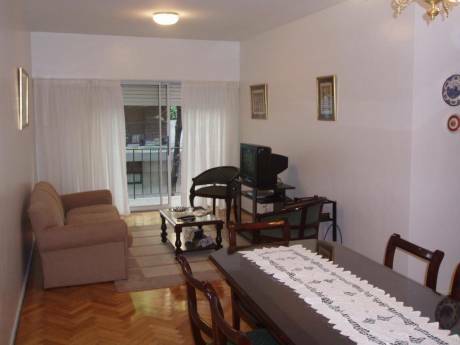 It has a wonderful view of the intersection of the Pueyrredón Avenue and the classic French street. This is a true 5 star property. Artwork in the living room featured by Anibal Carrillo. It has been completely remodeled so it's like a brand new apartment. It has the best of both worlds with old world charm and modern amenities and furniture. The apartment also has sound-proof windows. The apartment is professionally designed and features European furniture and all the amenities of home. It is very spacious with 700 sq. feet of living space. The building is in amazing condition and is a French-style building that is very charming. There are many restaurants, cafes and bakeries in the neighborhood and it is next to a grocery store for your convenience. 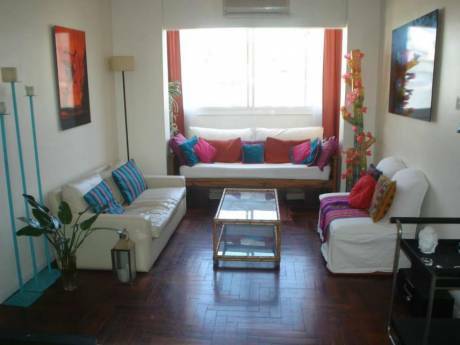 This apartment is perfect for a longer term stay in Buenos Aires or pampering yourself for just a few short nights. I am a 27 years old accountant, working for an apartment rental company. I live with my boyfriend (Leandro, 28 years old, accountant) and we love to travel. I live in Buenos Aires since I was 18 years old but I was born in the south of the country (Patagonia, Perito Moreno´s glacier). The exchange doesn't have to be simulaneous. I just need to know some time in advance and I can reserve any of my properties for you. We are open to travel any part in the world! Recoleta is the most upscale and most centralized part of the city.